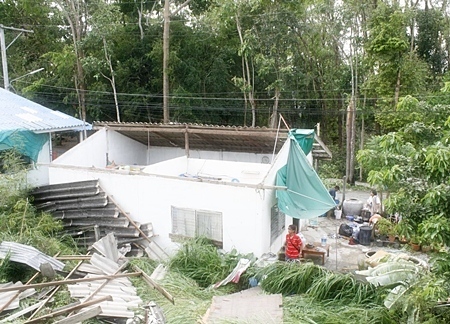 Pattaya residents whose homes were damaged a fierce overnight storm last week can collect up to 10,000 baht each from the city for emergency repairs. 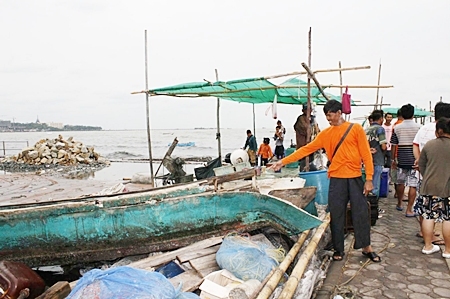 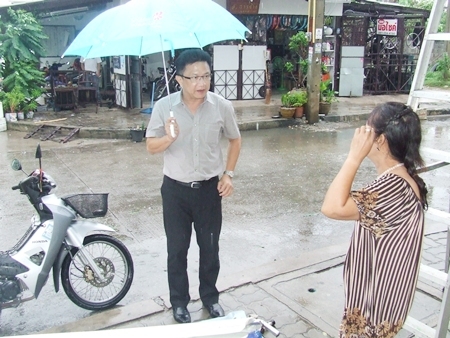 Deputy Mayor Wutisak Rermkitkarn and Pattaya City Council Vice-President Adison Phonlookin handed out bags of relief supplies to about 30 families near the Thamsamakee Temple in South Pattaya March 24 after a gale-force winds and rain the day before ripped off roofs, felled trees and flooded homes. 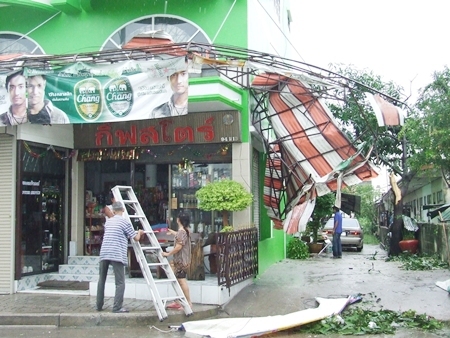 Ratchada Suwanbat, 41, said the storm tore off an aluminum roof on her convenience store and that a tree had fallen on two cars. 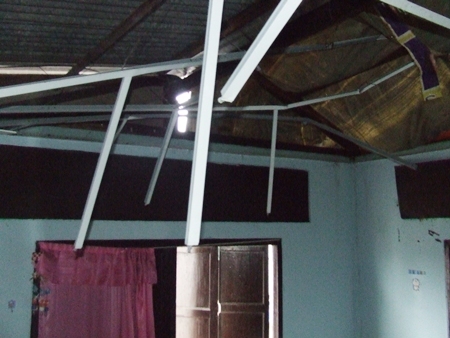 Nearly all the windows in her home were also broken. 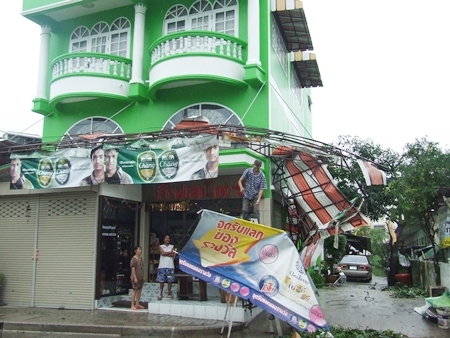 Violent winds and heavy rain damaged homes and businesses last week. 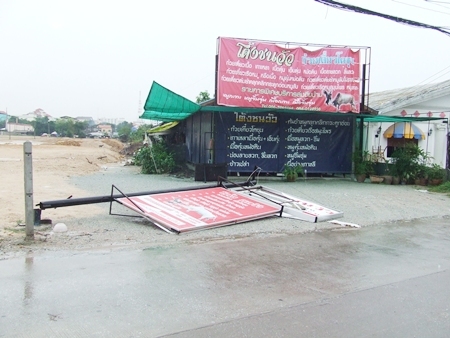 Meanwhile, Pattaya residents whose homes were damaged can collect up to 10,000 baht each from the city for emergency repairs. 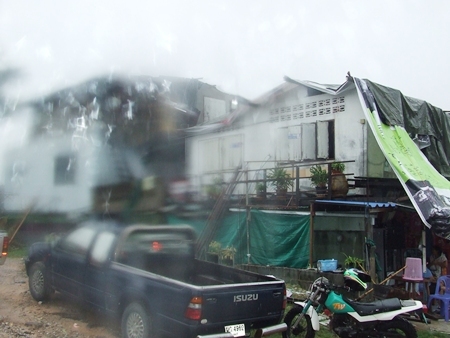 Sunee Kiatbaisri, 45, also lost a roof. 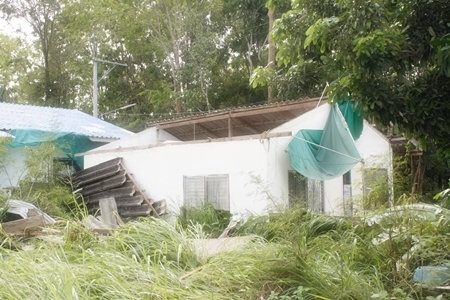 No one was injured and she has since covered her home with a canvas tarp. 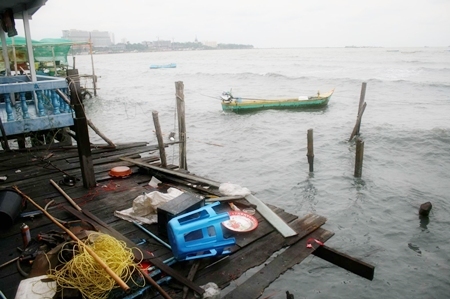 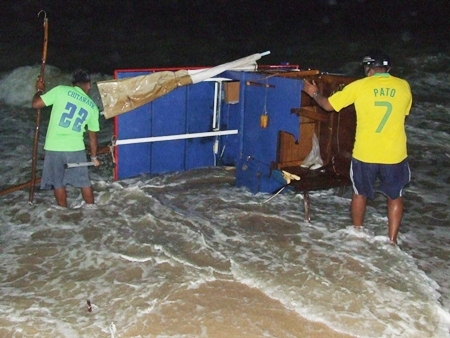 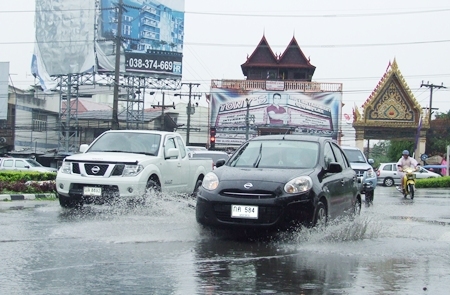 Wutisak said city workers will detail all the damage and residents can apply for compensation up to 10,000 baht each. 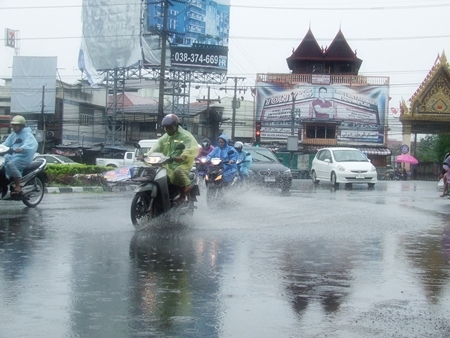 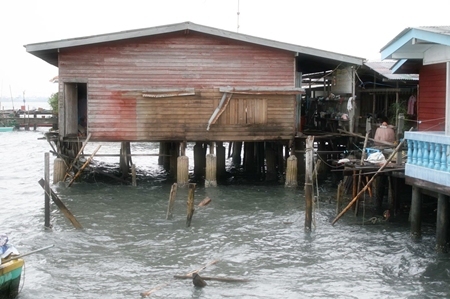 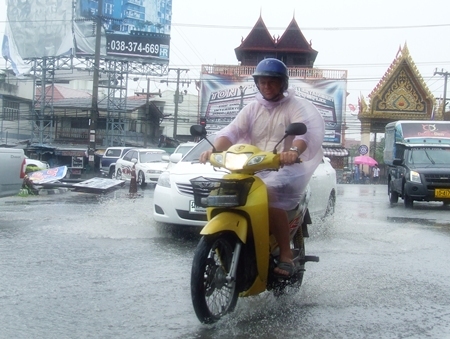 The unseasonal rain resulted from a high-pressure system that moved out of China and through Laos and Vietnam, bringing lower temperatures and heavy rain, especially to Thailand’s south where numerous disaster areas were declared due to flooding.